Having trouble getting your employees on the same page? Need to build a stronger, more connected corporate team? ABCey Events has compiled a list of team building activities around the Bay Area sure to get your team interacting in fun, new ways! Get your team out of the office and on an urban adventure! Mr. Treasure Hunt is a scavenger hunt that emphasizes problem-solving and team work. Bring out the competitive spirit of your employees with clues, puzzles, and races throughout the city! Locations include Peninsula and South Bay, SF Neighborhoods and Museums, Marin, North Bay, Wine Country, and East Bay. If you’re looking for a unique experience to share with your employees, then Urban Putt is the place for you to host your next team building event. 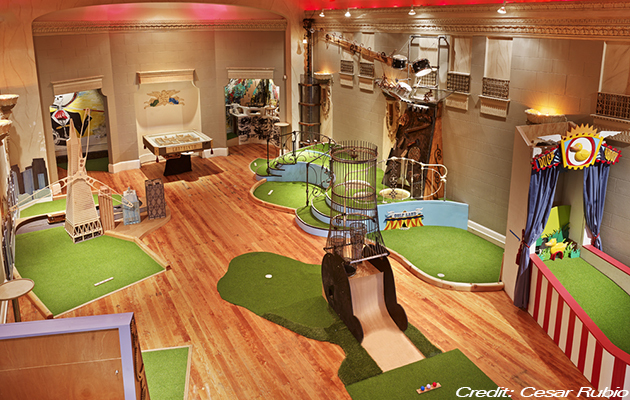 SF has brought a new concept to miniature golf– playing indoors! Choose from 14 obscure mini-golf courses and let the games begin. Pick teams or play one on one. Either way it is sure to be a great time with fun and food! Take part in a relaxing night over drinks and paint! Paint Night is a great opportunity to bond with fellow co-workers and friends. No painting experience needed! A performing artist will guide a lesson where your group is free to let out their inner Picasso, all while sipping a cocktail or two. Locations are spread throughout the Bay Area at your favorite local bistros. 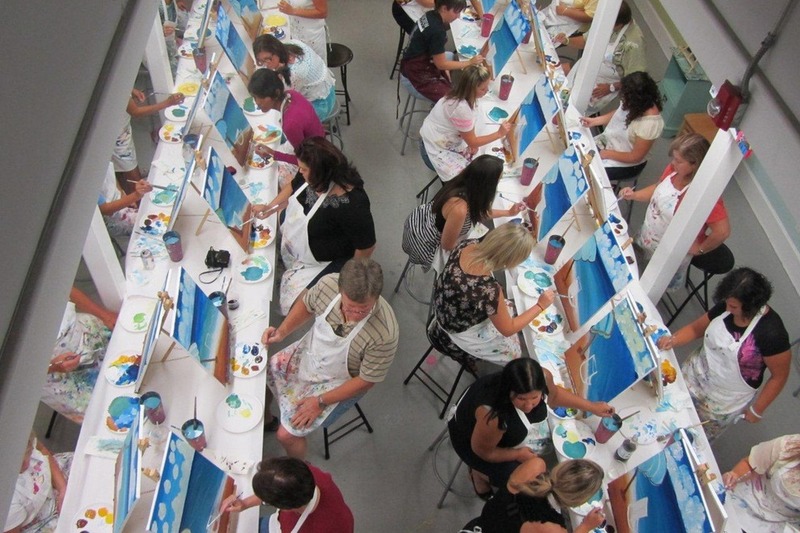 Click here to find your closest Paint Night! 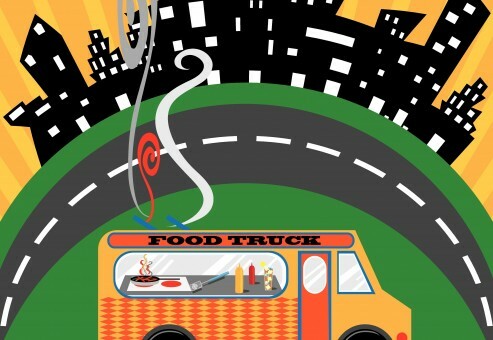 The Food Truck Challenge is a hands on activity sure to get your team’s creative juices flowing! Hosted by TeamBonding.com, The Food Truck Challenge is a culinary competition where individuals are divided into groups and encouraged to create their very own fast-food truck. Market, promote, and allow your ideas to come to life! At the end of the day, share and enjoy the gourmet foods you’ve created! Get your corporate team to break out of their shell! 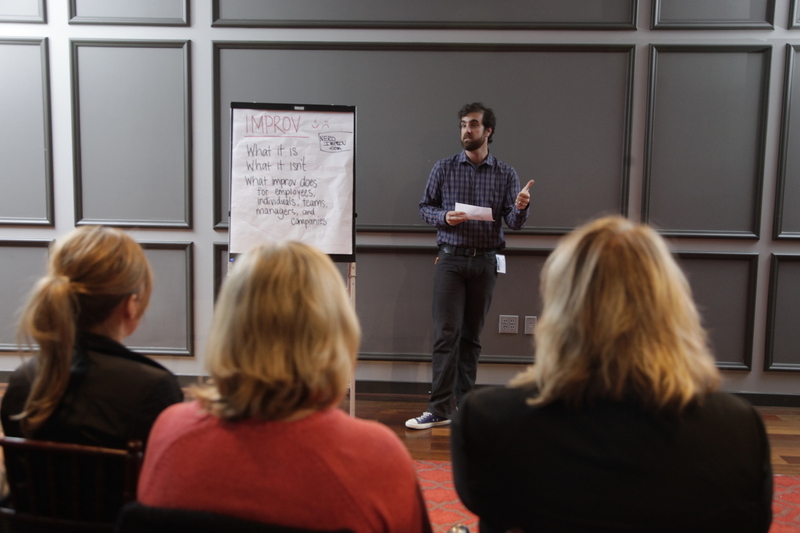 Nerd Improv is a great way to foster interaction and good communication skills with your employees! Through building exercises and improv, your team can learn better work ethic and build open relationships. Inquires can be made here for your next event. Hosted by San Francisco State University’s Pacific Leadership Institute flagship program, the Fort Miley Adventure Challenge is a challenge obstacle course consisting of cables, ladders, and ropes within the woods of Golden Gate Recreational Area at Lands End. Fight through physical, emotional, and mental challenges together to build a stronger team! The event takes place every first Sunday afternoon of the month. Too busy to plan an extravagant team building event? The Go-Game simplifies the fun! Choose from indoor, outdoor, or training games that enable competition and growth for you and your team! The accessible app makes team building easy and convenient. 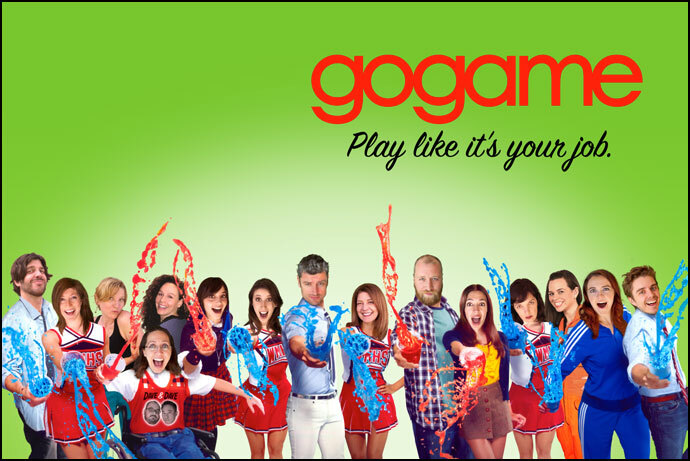 With the help of The Go-Game team, you’re sure to come out a more improved team– in and out of the office. Take flight at your next corporate event! 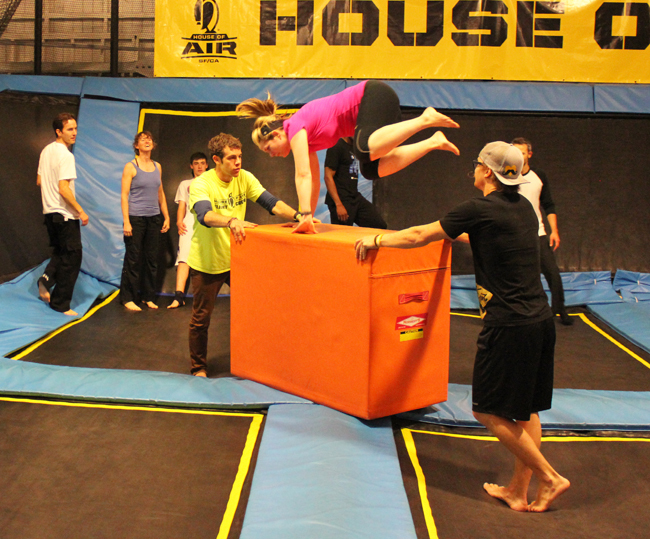 House of Air is a trampoline house offering team building facilities for all ages and skill levels. Activities include games, planned activities for your party, food, and dodge ball. Experience the art of bouncing with your team! Located in the Presidio of San Francisco. Do you know the people you work with? Mystery by Design is a great way to break the ice all while solving a mystery! With more than 20 plot lines and twists catered to your event, you’re sure to be a stronger group by the end of the game. Get into character and let your imagination take over. To have the “crime of your life!” click here. 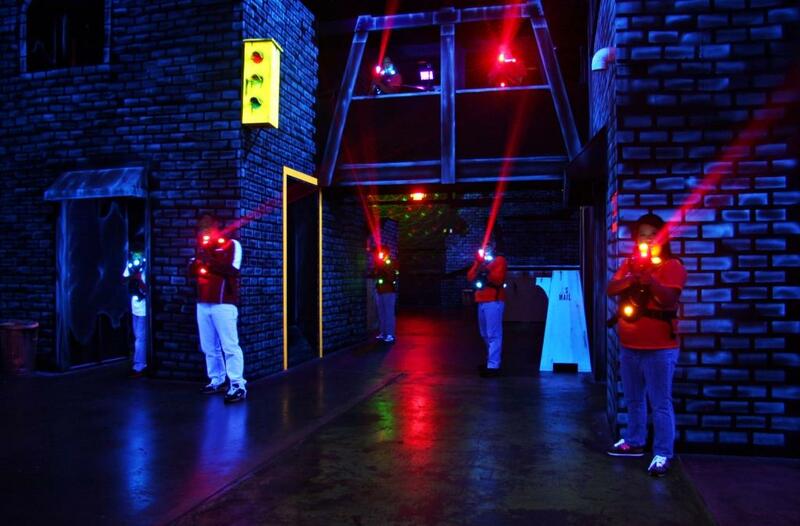 Laser Quest laser tag is another fun way to bring out competition and fun with your employees. Run through lighted multi-leveled mazes, dodge laser bullets, and strategize the best ways to conquer the quest! Located in Mountain View. Book your next quest here. Team building is the foundation of a more connected and successful business. What are your favorite team building activities? Let us know with a comment or message us on Facebook or Twitter!